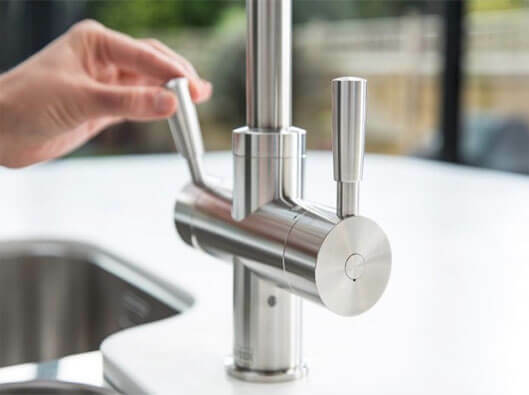 Omni is the world’s first mechanical 4-in-1 kitchen mixer tap, offering filtered boiling and filtered cold water, as well as the usual mains hot and cold. 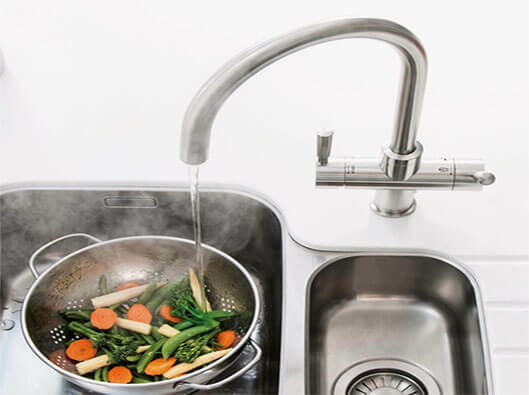 The Franke Omni is a complete system, including tap, boiler and under sink filter. 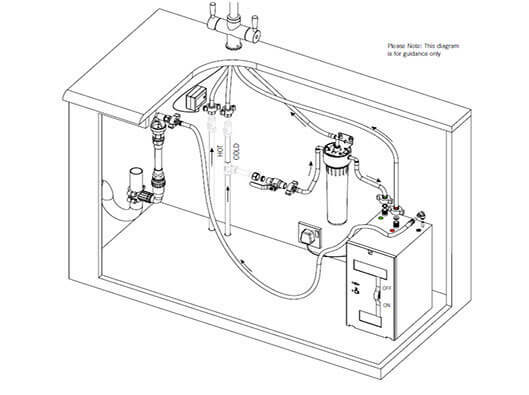 The filter provides high quality drinking water and also protects the boiler from limescale build-up. Each filter lasts around 6 - 9 months and replacing the filter is as easy as changing a lightbulb. Most ‘boiling’ tap systems only produce less than 98°C so hot drinks don’t taste as good as they should. Omni delivers fully boiling 100°C water instantly for the perfect cuppa. 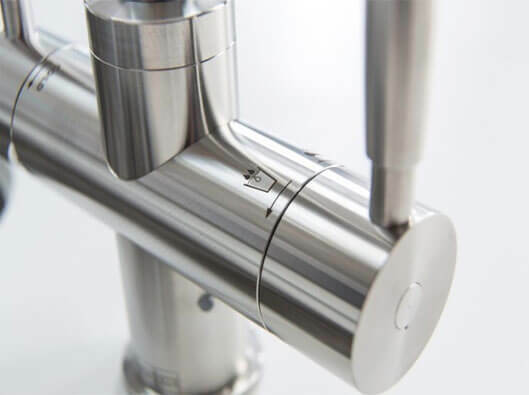 Virtually no tools and minimal plumbing skills are required for installation. Compact and convenient, the boiler can be easily fitted into a standard kitchen cabinet. The compact design hides a generous 4.2 litre capacity. That’s enough for 8 mugs of tea or 2 pans of water. 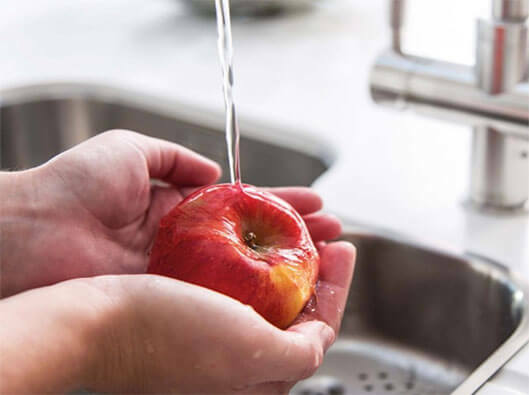 Empty the boiler tank and you’re just 10 minutes away from the next tankful of boiling water..